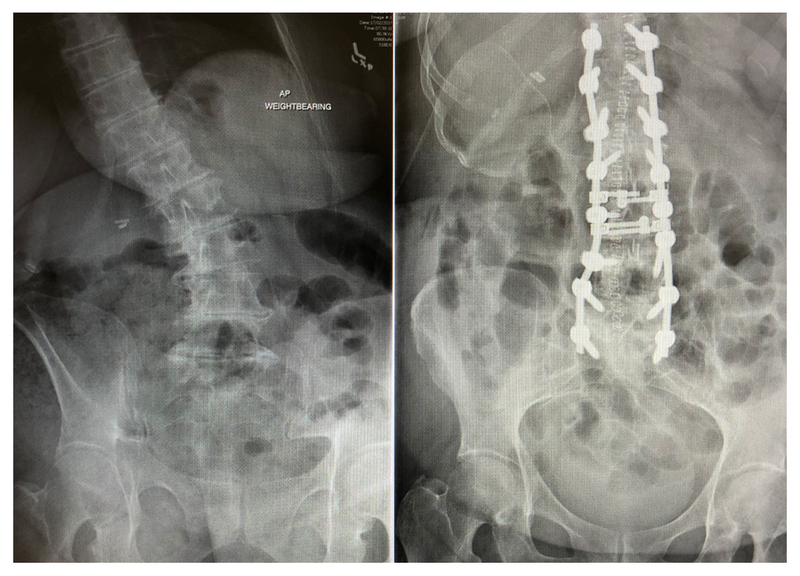 Scoliosis and deformity surgery is typically performed by spinal surgeons who have undertaken further advanced training. 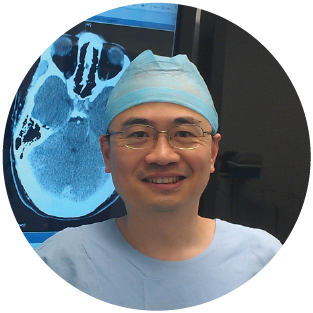 Dr Yang has completed a Fellowship in complex Spine Surgery in Royal North Shore Hospital, North Shore Private Hospital and Sydney Adventist Hospital in Sydney. Spinal deformity if a complex problem and often requires additional X-rays and scans for full assessment. 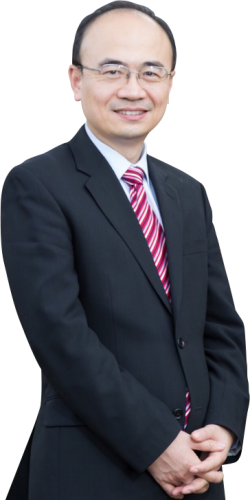 Surgery can help with deformity correction, relief of sciatic pain and sometimes back pain, however surgical intervention needs to be carefully considered as it is often a major procedure. Surgery is performed to the highest standards. All patients deserve the very best in care, especially when they are dealing with debilitating spinal conditions. 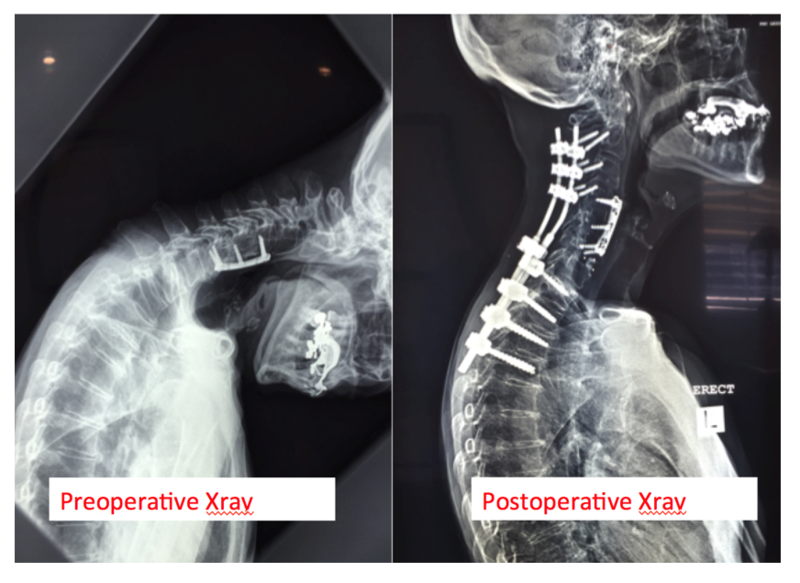 Preoperative Xray showed a significant cervical kyphotic deformity. This patient was unable to see straight and eat properly. After surgery she was upright and restart her normal lifestyle.